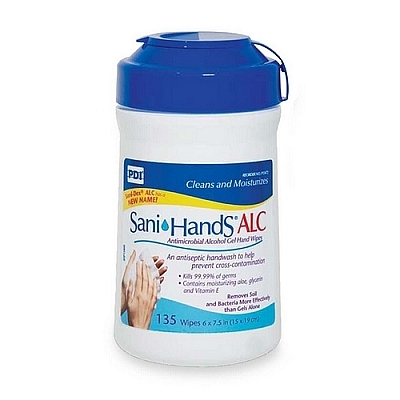 ALC physically removes bacteria and soil from hands - a function rub-in alcohol hand wash can not accomplish. Non-woven cloth saturated with ethyl alcohol gel solution for the antiseptic cleansing of hands. Solution and towel are fragrance-free and dye-free. Proven effective against MRSA. 65.9% alcohol.